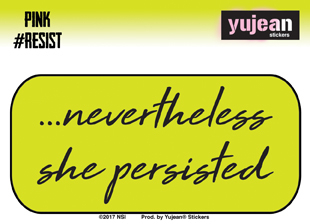 Pink #Resist Nevertheless She Persisted Sticker | Window Stickers: Clear Backing, Put Them Anywhere! Pink #Resist Nevertheless She Persisted, 2.10" x 4.25" sticker. 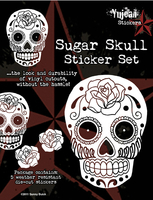 Printed on clear backing, so it looks great on any surface, and screenprinted to last 5 years outdoors.